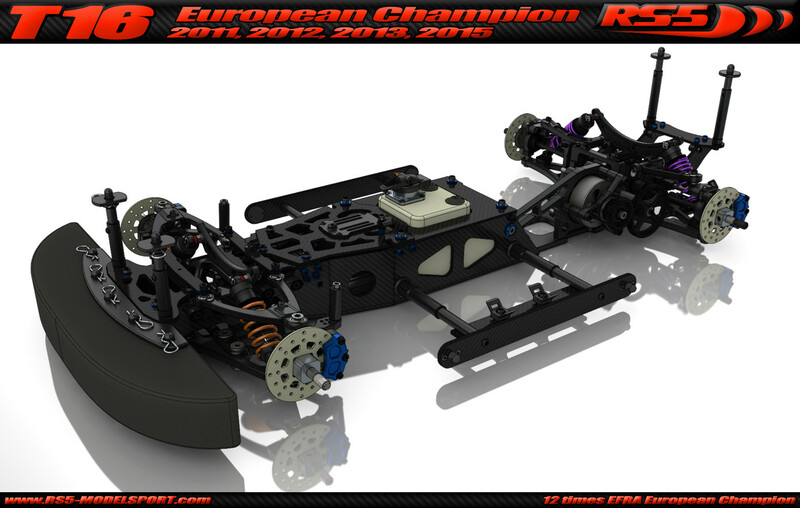 From 2016 we have 2 types of chassis kit, the “T series chassis” and the “Tx series chassis”. 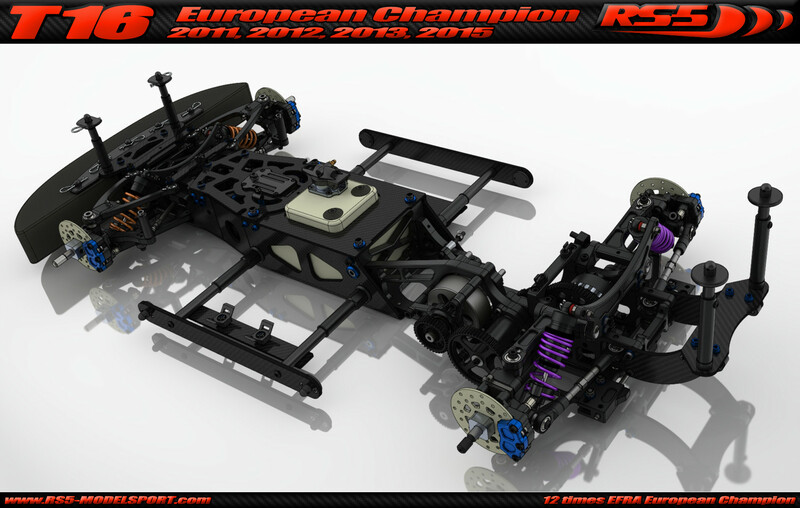 Here you can see the 2016 version of the “T series chassis” car - named RS5 T16. 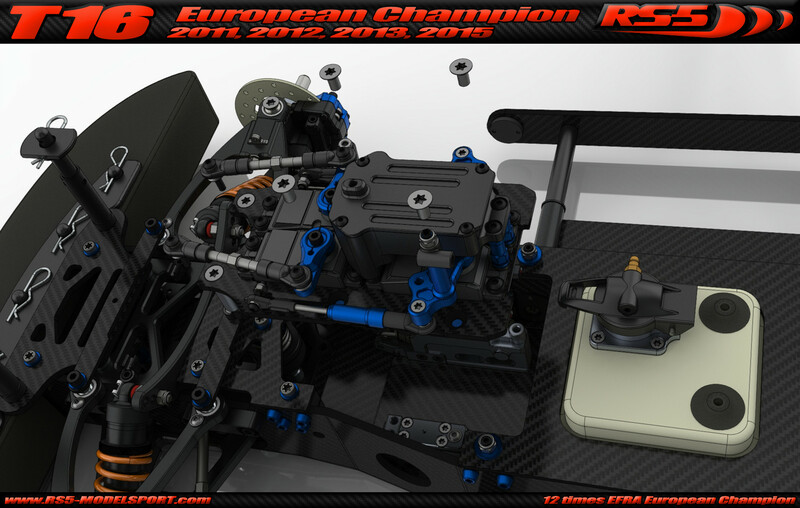 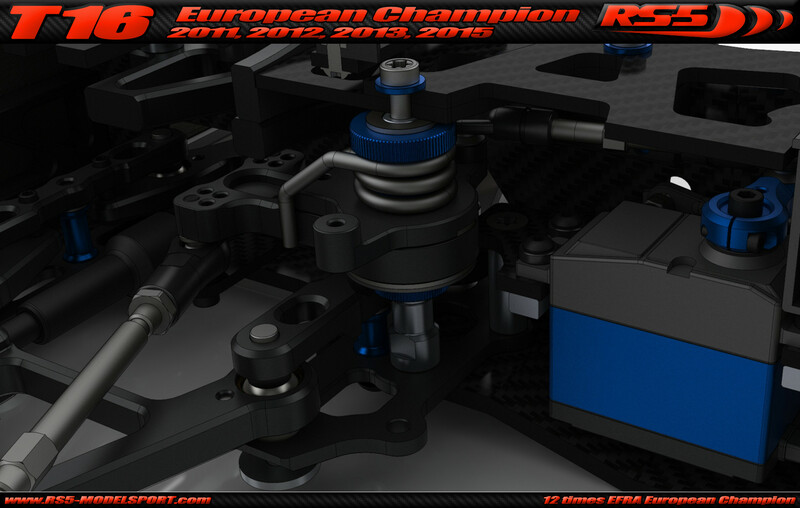 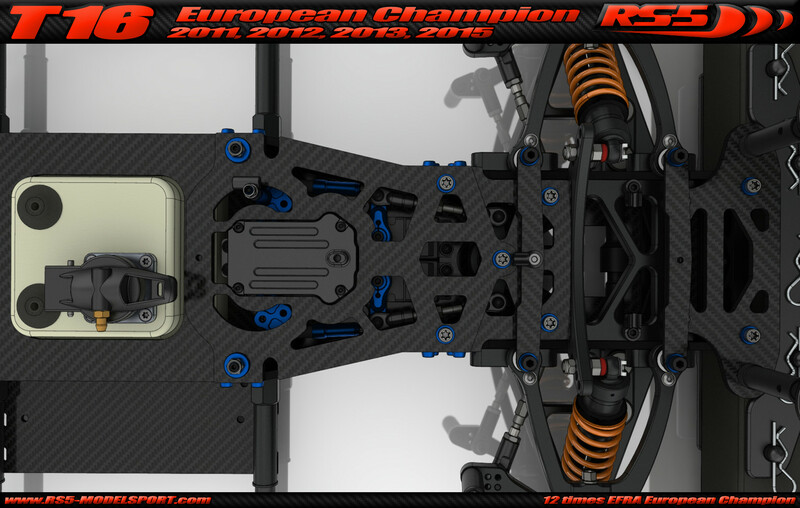 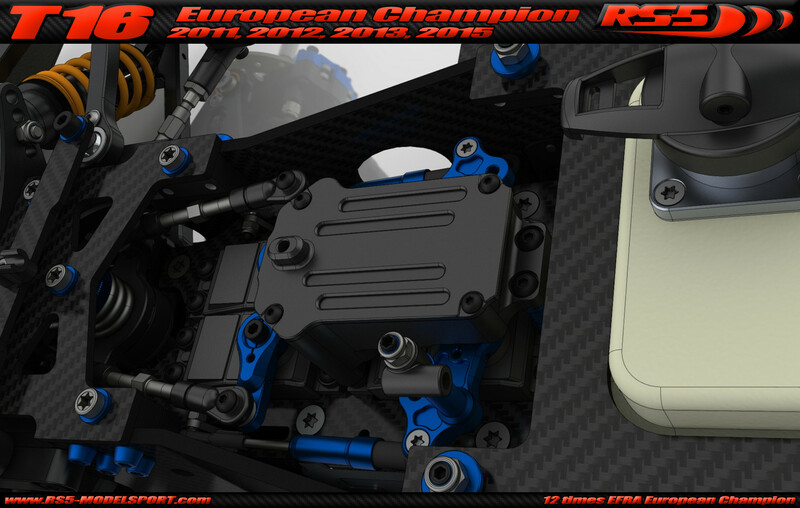 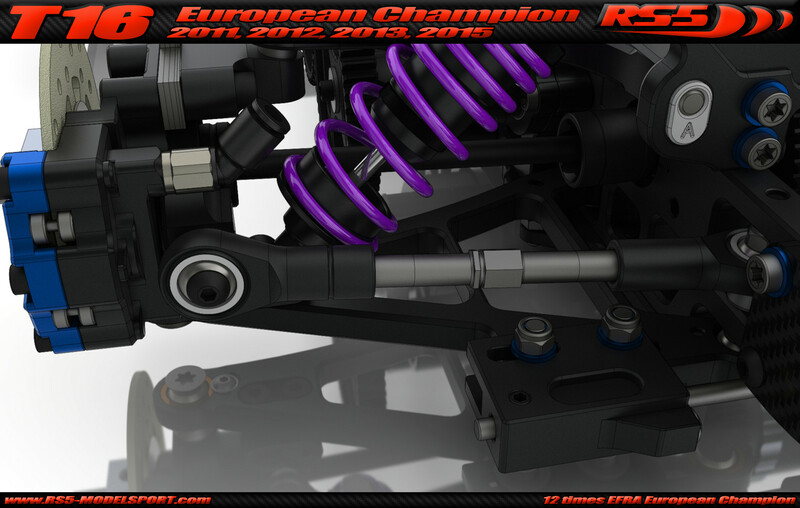 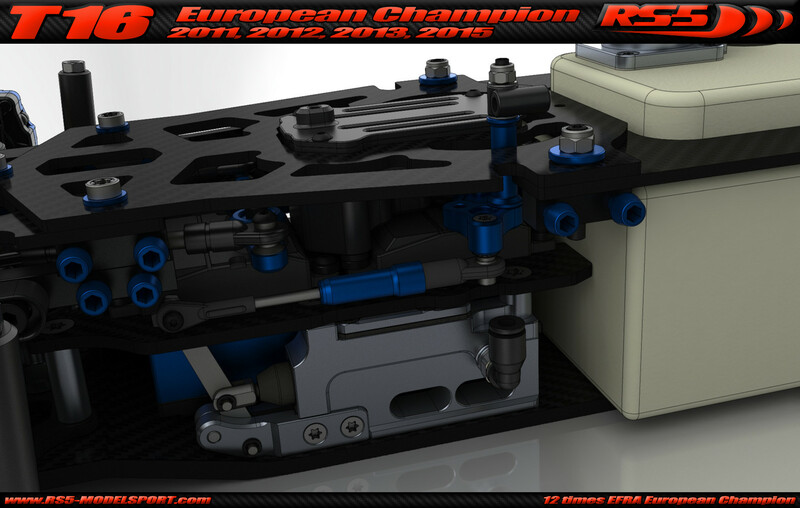 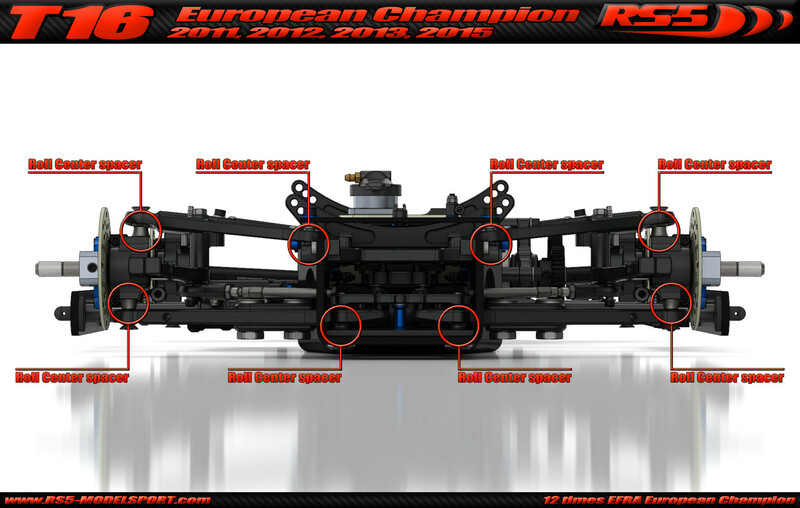 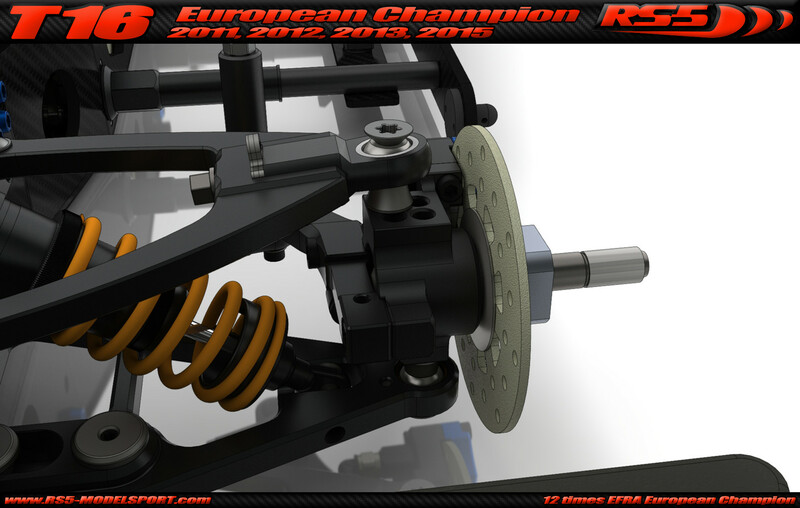 The RS5 T16 car is based on the Zenoah engines and it is the exact follower, of our very successful T15 car. 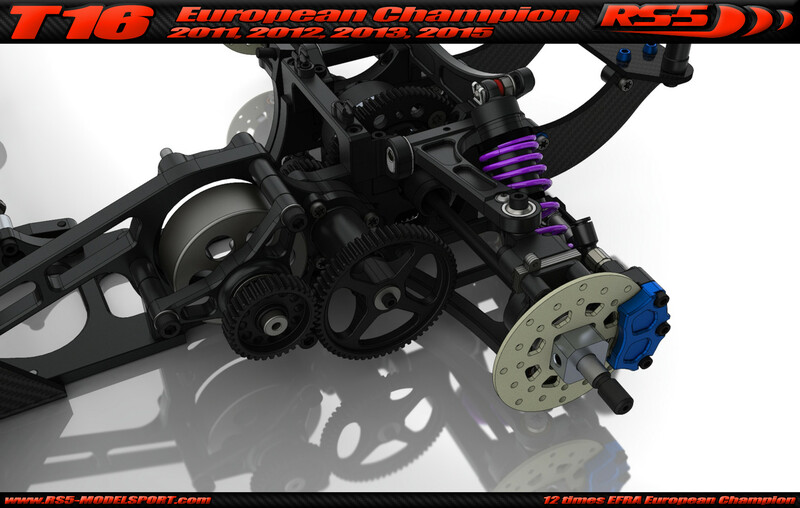 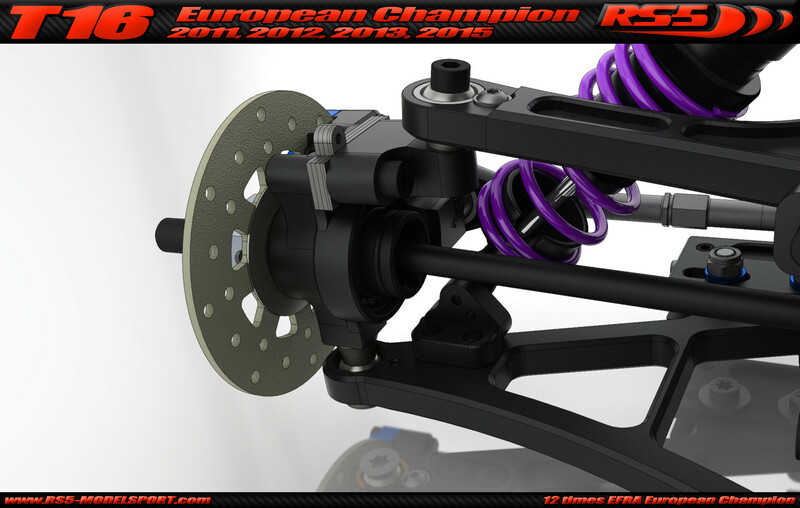 We make it more service friendly, with the All-in-one RC unit, and we give them some more setup possibility, with the new front Hubs position, and with the adjustable rear upper wishbone position. 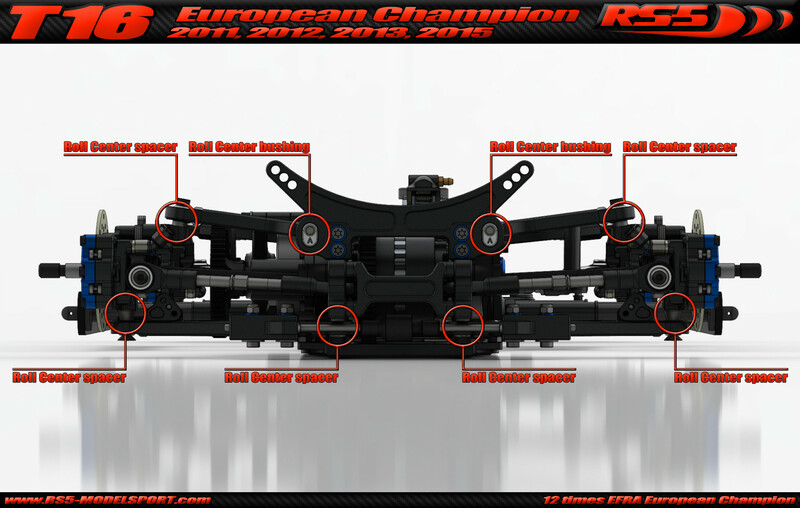 Also new feature is the center mounted front anti-roll bar, that will improve the handling of the car.